NEW CONSTRUCTION-LIKE HOUSE IS READY FOR YOU TO CALL IT HOME! This gorgeous home is model perfect, and is well appointed with upgrades and features! like Double Paned Windows, NEW A/C, GRANITE, ENGINEERED WOOD and SO much MORE! Stepping into the front entry is a nice sized office space, with gorgeous front views and french doors. The ceramic tile entry opens up to a spacious living and dining room area complete with luxury engineered wood floors. Also tucked up near the front of the house is the 4th bedroom and 3rd bathroom which offers a quiet retreat for your visiting guest. This home has a nice split plan with a bedroom Wing too and the secondary bathroom that opens up to the back lanai. Towards the back of the house you will find a huge kitchen complete with granite counter tops and newer appliances and tons of cabinet and counter space! Through the kitchen is the inside laundry room complete with a washer and dryer that come with the home. The family room has a great space for even your largest TV and sectional along with an informal dining area towards the Lanai Entry and Tucked in a quiet corner of the family room is your large master suite with a huge bathroom along with Garden soaking tub! LARGE 3 CAR GARAGE allows for even more storage, or workspace. 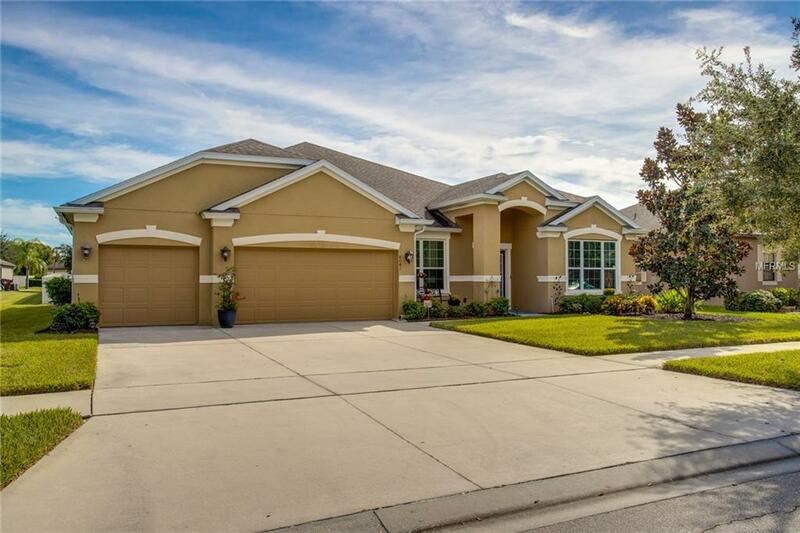 Stevens Plantation is a great community so close to the turnpike and easy commute to Orlando. Do not be fooled by the Saint Cloud address... it's 20 minutes to Orlando!! Schedule your showing TODAY!